There are so many days in my life when I find it hard to get motivated. Once I am in motion its not hard to keep going but those first steps are hard to get going. 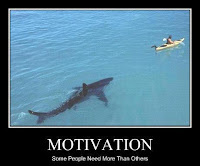 When we ask to be motivated we are really asking for the "motive" to come alive. Motive is something that incites us to action, it causes motion. Some folks are motivated by power, others by money, some by status or position. Motive is very important. 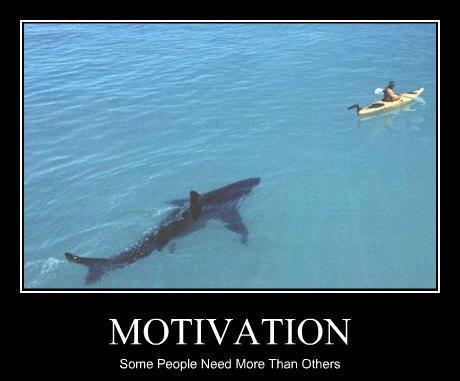 What will it take to motivate you? God not only cares what you do. He is interested in why you do it. God in us should be the compelling factor. Look at what it says in Philippians 2:13,"for it is God who works in you both to will and to do for His good pleasure." In other words God not only gives you the want to, He also provides the power to carry it out. So what's your M.O. today...your Modus Operandi...your method of operation...your reason to move through the day and impact the world? If you are finding it hard to get motivated go back to His Word and let it fuel your fire and passion to get going. Only with God working in you can the desire and the ability work together to produce stability. And that my friends is what brings pleasure to God.